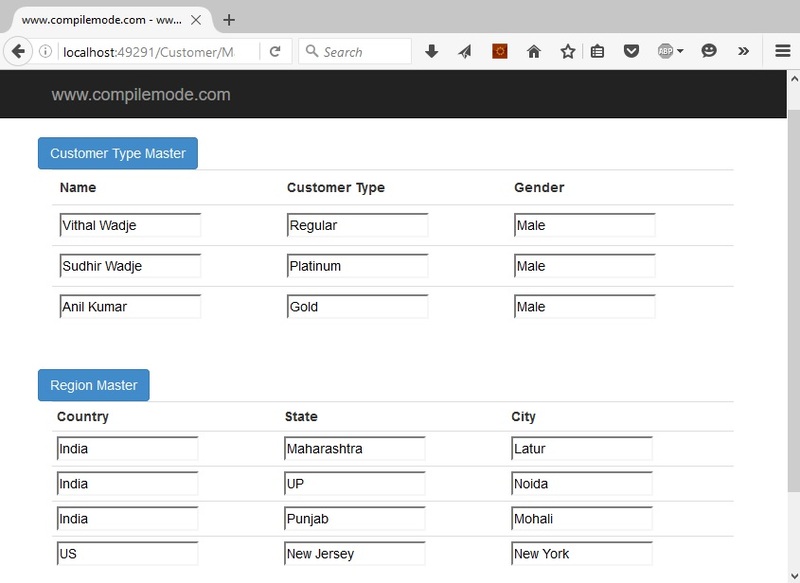 In earlier ASP.NET it was very straightforward and easy to display multiple tables data using DataSet but in ASP.NET MVC we need to mostly work with generic lists. 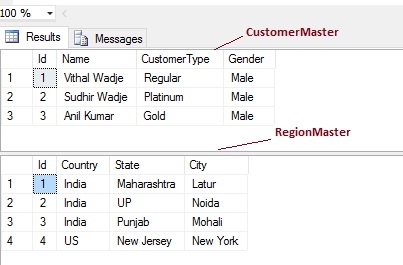 Also in many forum posts and in my event speaking people asking me how to display multiple tables data in single view from database in ASP.NET MVC . 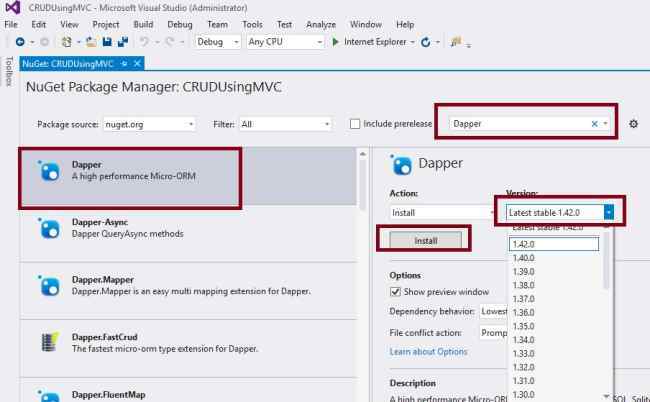 So considering the preceding requirement I have decided to write this article .Now let's learn step by step, which helps beginners to learn how to display multiple tables data in single view from database in ASP.NET MVC. Lets consider we have a requirement to display the master data in single view where Data coming from multiple tables . So in this scenario we need to create complex model class from multiple model classes.We have following two tables in Database from which we are going to display the data as in following screen shots. 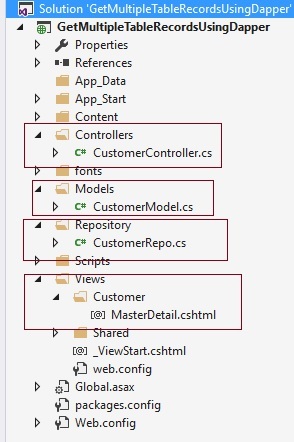 It is not mandatory that Model class should be in Models folder, it is just for better readability; you can create this class anywhere in the solution explorer. This can be done by creating different folder names or without folder name or in a separate class library. Step 4: Add Controller Class. After clicking on Add button it will show the window. Specify the Controller name as Customer with suffix Controller. Controller name must be having suffix as 'Controller' after specifying the name of controller. Step 5 : Create Stored procedure. Run the preceding script in sql it will generates the stored procedure to get the multiple table records from database . 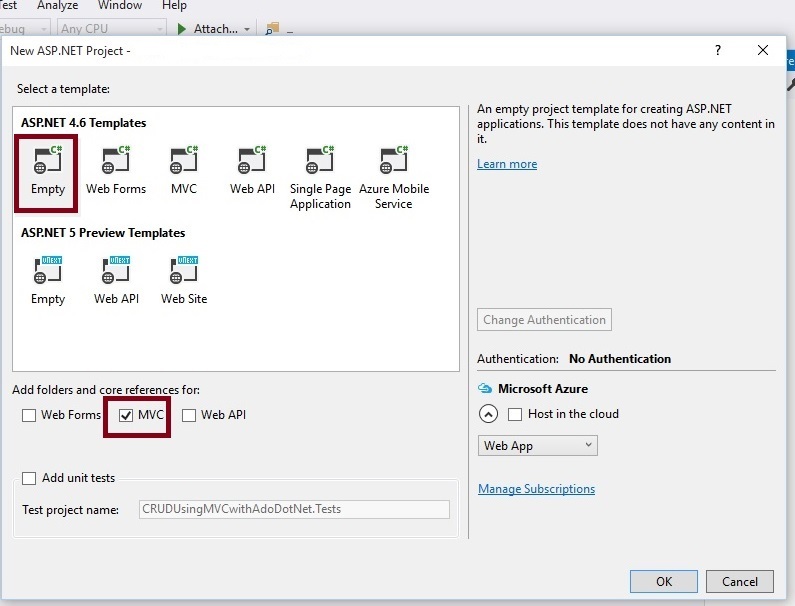 Step 7: Create Method into the CustomerController.cs file. 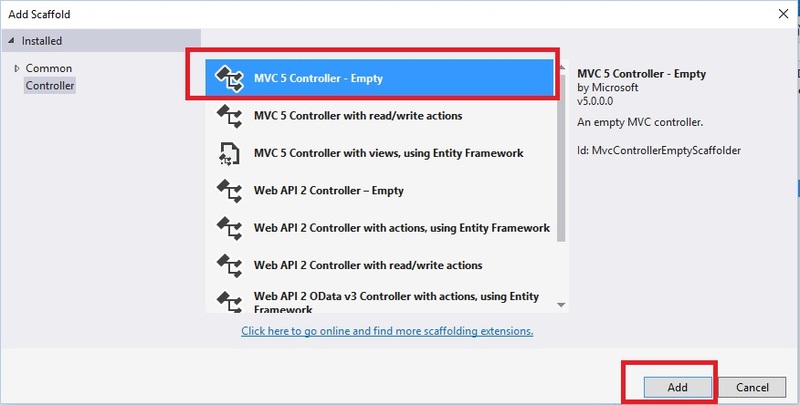 Step 8 : Creating strongly typed view named MasterDetail using MasterDetails class . While binding list of records your control Id's must be unique , otherwise same first record will repeat in all list So to avoid this we need to maintain unique id's for control . As we have maintained in preceding view manually by using incremental i and j variable counter and model properties . Now we have done all coding to upload files . Step 9 : Now run the application.